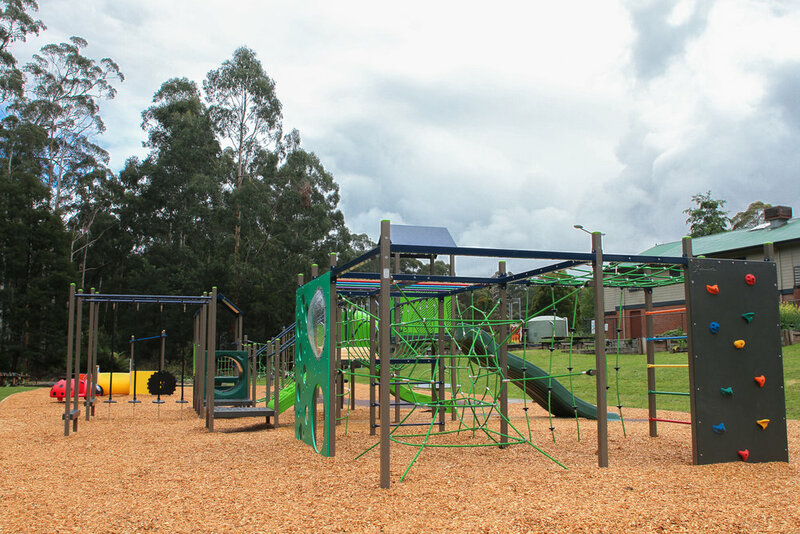 Omnitech Playgrounds’ recently completed installation of the new Alma Treloar Reserve Playground in Cockatoo, for Cardinia Shire Council. 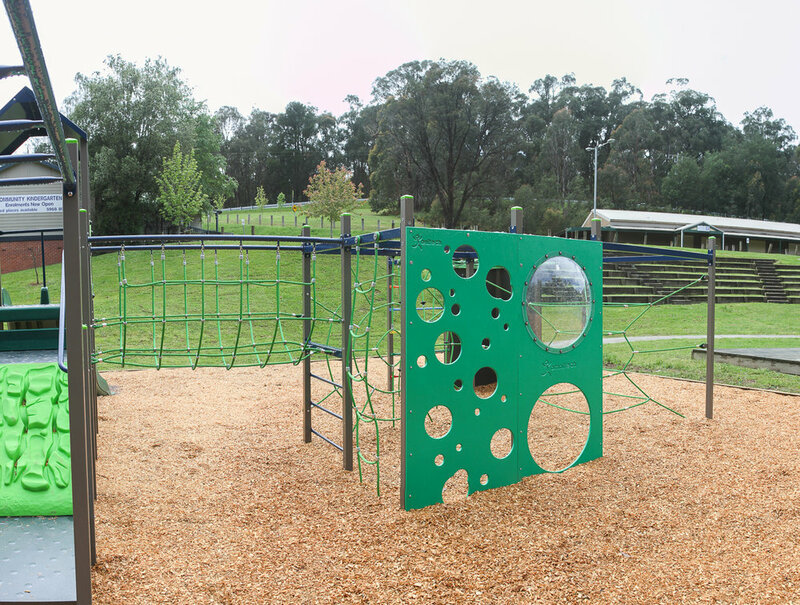 This play space has been designed and built with consideration to enable all kids of differing ages and abilities to play together cohesively. The play space provides a range of activities including climbing, sliding, swinging, rocking, spinning, imaginative play and nature play. It was important for us to ensure that our new playscape fit the parks setting. 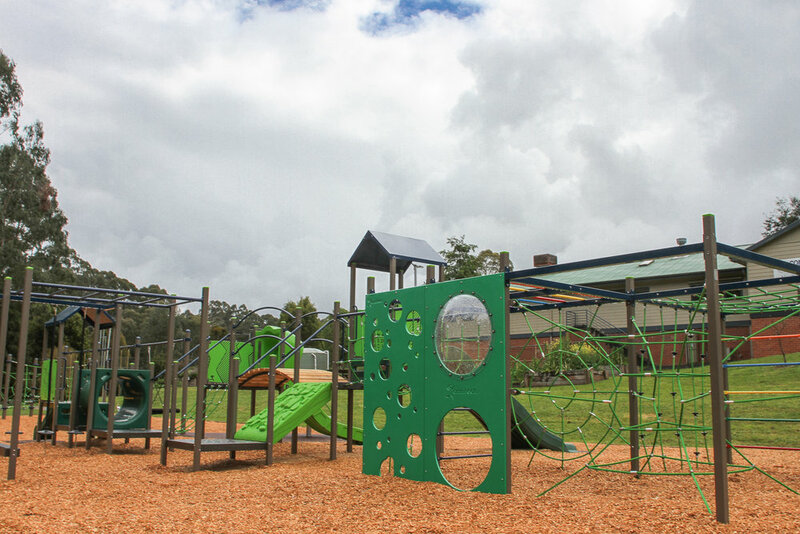 During the design process we based our colour selection around the playgrounds natural setting, to complement the parks environment. The Omnitech Extreme play unit features easy accessible slides, tunnels, bridges and activity play panels for younger kids or those less abled. 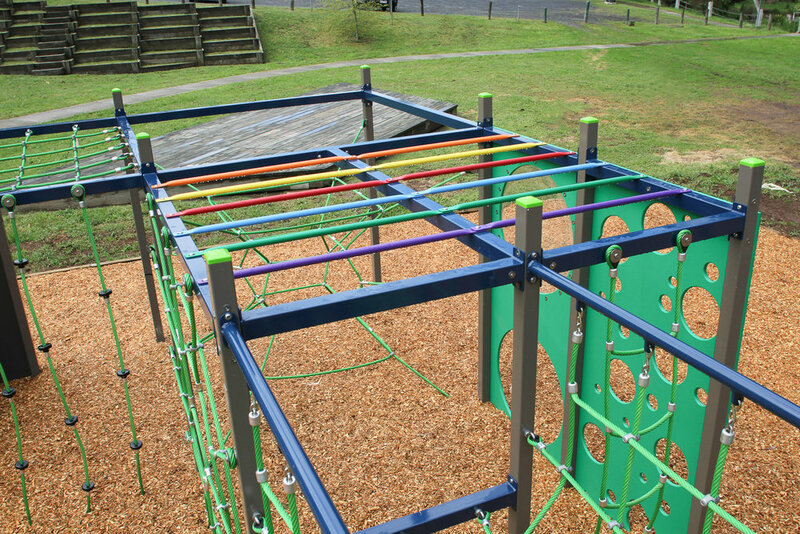 As well as featuring Omnitech’s new Activity Boxes that contain a range of different multi-level climbing activities to challenge the more adventurous kids. 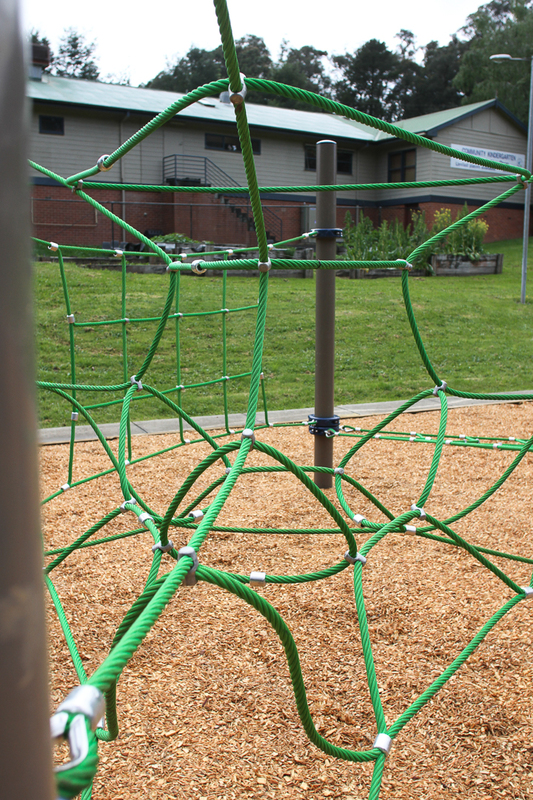 Through the mixture of high quality rope and HDPE plastic components, the new Activity Boxes provide a large variety of challenging play experiences. Featured are selections of our natural log steppers which have been arranged to create a challenging stepping trail. Our natural log steppers tie into the lush natural environment that surrounds this new playscape, and have been finished with a light stain and smooth finish to avoid any potential splinters. 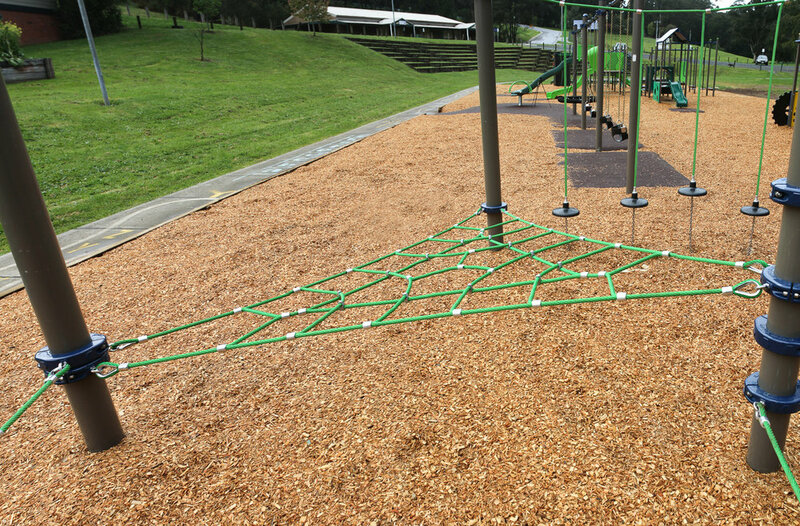 Along with the new Activity Box, a large rope structure has also been added to increase the level of moderate difficulty play elements. Rope allows for multiple different play experiences, and are suitable for children of all ages. A Play element new to the Omnitech range is the Tractor unit. The tractor play unit fosters imaginative play and encourages kids to learn to play together. The play space has been gratefully welcomed by the community, as it is a great addition to this community hub.